Android is one of the most attractive tools for developing apps among developers, but unfortunately, not all the designers share the same thought. After all, making an app look great on all the Android devices with different screen sizes and resolutions is not an easy task. No doubt, creating apps that run on hundreds of devices can be rewarding in terms of expanding your brand reach, but the diversity of the Android platform also creates many challenges. However, when designing an Android app that supports different screens, the UX (User Experience) is the most underrated elements in the app development project. Remember, the user experience is critical to building a good relationship with your customers. Also, UX helps evoke emotions that assist in keeping users engaged to your product. And so, you must design an Android app that helps provide enhanced user experience. Of course, hiring services of an Android app development company can help you meet your specific needs in an efficient manner. But before taking professional assistance, it is recommended that you must consider the following tips to design an Android app that helps deliver optimal UX. Creating a good first impression is crucial for ensuring the success of your product in the long run. So, when it comes to designing an Android app make sure to keep the setup simple. Remember that today’s modern users quickly become irritated by messy design, complicated sign-up and things that usually takes more time than necessary. Once customers get offended, they might not bother to re-use your application again. So, to deliver optimal user experience, you need to ensure that your app is simple and straightforward to use. This is where Google’s Material Design comes to your rescue. It guides Android designers to creating elegant and usable apps. It helps in designing things that are much more minimalistic while retaining the effectiveness of the app design. 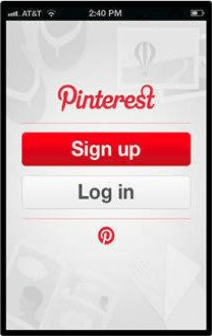 Pinterest app is an excellent example of how you can create simple yet effective log-in pages. The app highlights the sign-up option in a manner that attracts new users to use the app. NOTE: Remember that you shouldn’t sacrifice simplicity by neglecting clarity. Of course, your users are the first thing that you should have in mind while initiating your app designing phase. But unfortunately, it’s easy to become overwhelmed with dozens of app design ideas available online that we overlook how a user will respond to your app. 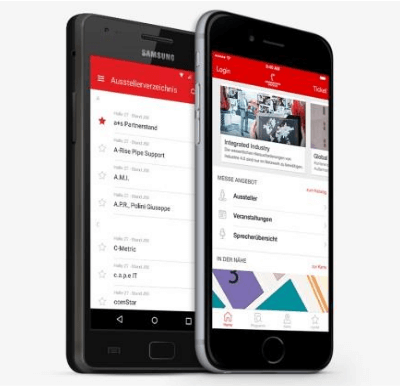 For example, the new HANNOVER MESSE app is designed for the user-centric approach. In fact, it is built with usability in mind and offers a great user experience, by helping users to gain access to all the services and information they need at anywhere, anytime. You don’t need to be a genius to understand how important it is to make your app users feel comfortable, rather than to make them confused about using the app. Creating an on boarding experience improves user experience, as it helps (first-time) users understand what the app does. You can implement on boarding screens in your app that helps guide the user how they can interact with your product and how it will benefit them. Perhaps, you may wonder why should you bother creating integrating on boarding screens into your app, when you already need to provide app descriptions in the app store. While app store descriptions can be written in any size, on boarding is an attempt to provide more succinct information about app usage. 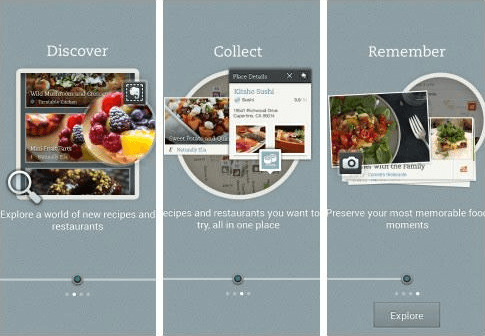 For example, the Ever-note food app highlights what all users will get via the app. Just as we had discussed previously, Android platform is available on devices with different screen sizes, ranging from pocket-size smartphones to larger tablet view. Designing an app for each screen size separately is not a feasible approach. And so, you need to think of sensible strategies that could help you design an app that effectively deals with the diversity of the Android platform. One best technique is to design your app responsively. In order to create a responsive app, it is strongly recommended that you must know be familiar with your target audience and modern devices. An excellent strategy is to construct a responsive app for middle-sized mobile phones (ranging from 3.2″ – 4.6″), and then you optimize the app design as required using alternate layouts for some particular small-size (i.e., less than 3 inches) devices and tablets. A/B testing (also called as split testing) has become a common practice that is used by the majority of Android developers to test different experiences. It is a process that enables you to compare multiple variations of web pages of your app, by showing them to real world users. 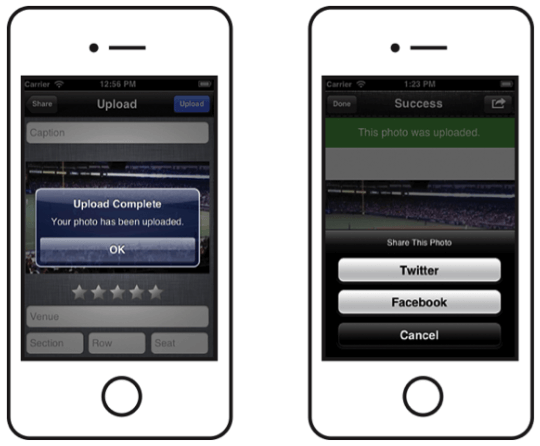 The test helps determine which app variation helps in generating better results. Basically, running A/B tests help you measure which app variation helps boost conversion rates. And so, you get to know which app design format will best suit your business. To be more precise, A/B testing helps in optimizing your app without comprising on the user experience. Keep in mind that all apps are different, and split testing enables you to test numerous changes on your Android apps. The changes range from on boarding to user retention and engagement rate. Android has become one of the most dominating app development platforms in the last few years. Both the Android platform, as well as, Android apps have become more refined offering better functionality compared to other platforms. However, there are millions of Android applications on the market, and you could not possibly improve the visibility of your product unless it features the most pleasing design. So you’ve decided to design an Android application. Just remember, that paying attention to the UX is the vital factor that plays a big role in ensuring the success of your app. If you require any help to make your own website please feel free to read more about creating a website on our home page.